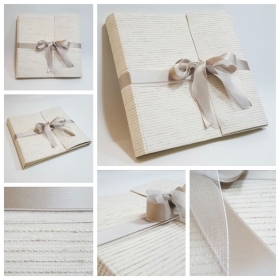 The choice of wedding photo album is very important, for this PaperMoon puts the utmost attention in curing all the details and creating albums where the story of your Wedding can have infinite space and time and allow you to relive it with intensity every time you want it . 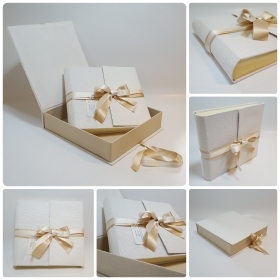 You can decide the combinations of materials, choosing colors that recall the theme of marriage to make your memory even more special and precious. 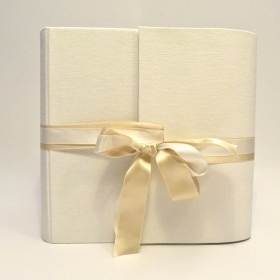 Our professional photo albums are made to be easily browsable in order to remember every time the emotions, the joys and the most beautiful moments of your wedding. 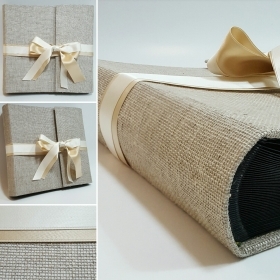 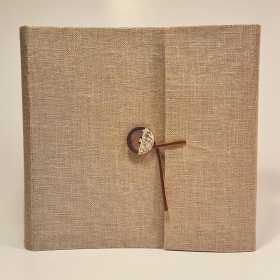 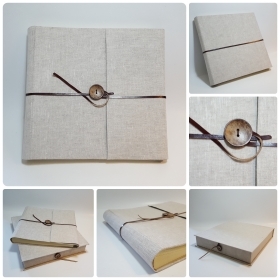 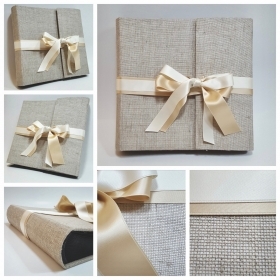 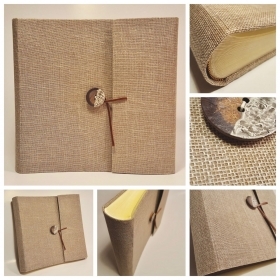 Photo album covered with linen canvas and coconut button. 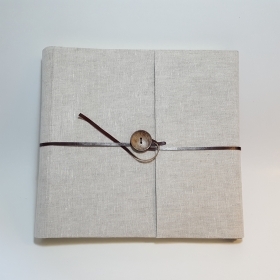 Photo album covered of rough linen canvas and coconut button. 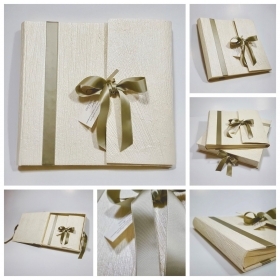 Photo album covered of white line. 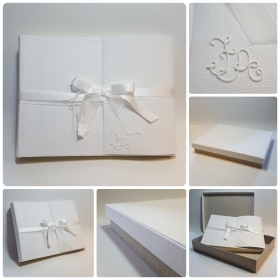 Album covered with pure white linen, satin ribbon and organza. 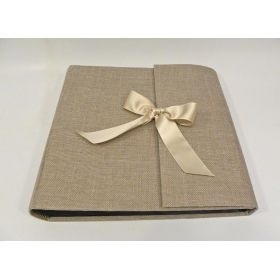 Traditional Photo album, pure cotton cloth with double satin bow. 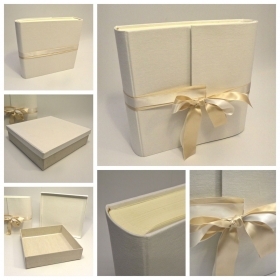 Photo album covered in pure white linen raw and double satin ribbon ivory. 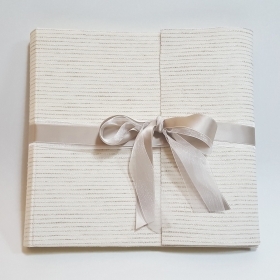 Photo Album wedding covered with canvas of pure white linen. 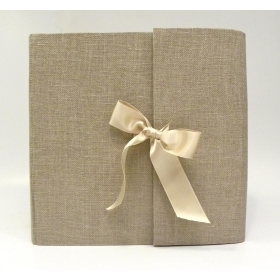 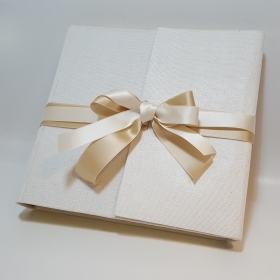 Photo album coated of pure white linen with double satin bow. 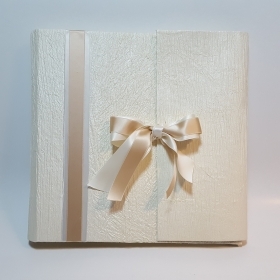 Photo album covered with ivory paper and ivory satin bow and bow. 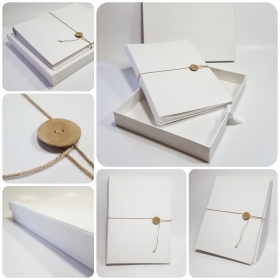 This precious paper makes this album very elegant and bright. 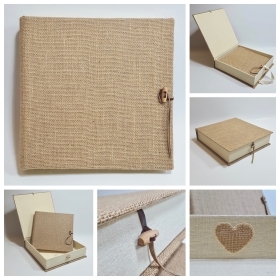 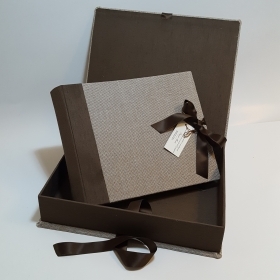 Photo Album covered with natural linen canvas and leather closure. 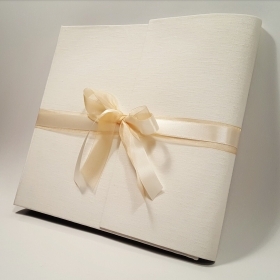 Photo album covered in canvas of the dairyman with ivory satin bow. 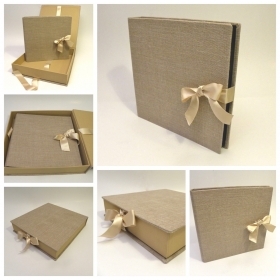 Photo album covered with cheese maker canvas and with ivory satin bow. 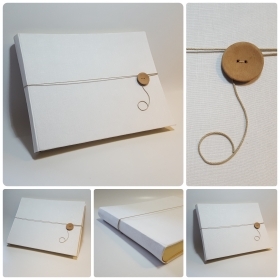 Photo album ade whit the cheesemaker natural canvas, ceramic effect button and leather closure. 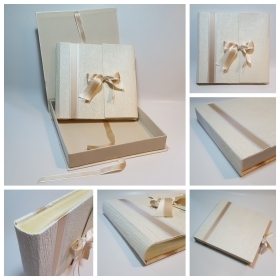 Photo album made of natural Juta with leather and wooden hanger closure. 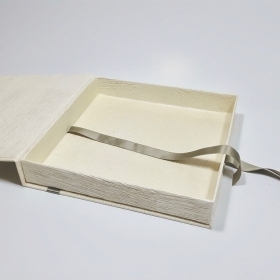 The case is embellished with a heart dedicated to love for natural materials, and recalls respect for nature and craft tradition. 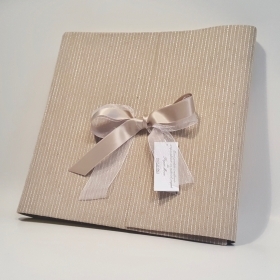 Photo album beige striped fabric, brown satin ribbon and organza. 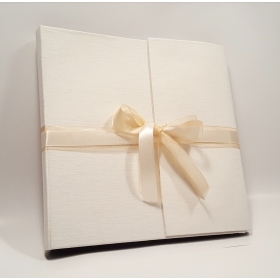 Photo album Rome covered with canvas double satin ribbon ivory. 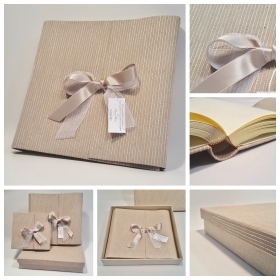 Photo album made whit natural canvas and Canapetta Brown. 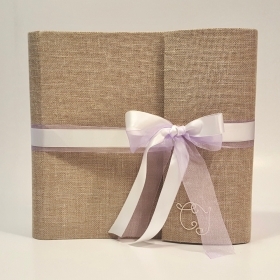 Photo album covered in grey linen, organza Ribbon and lilac satin.The lilac is delicacy and femininity. 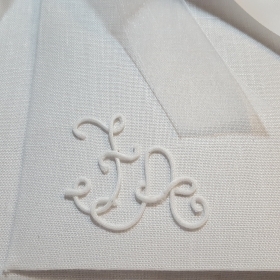 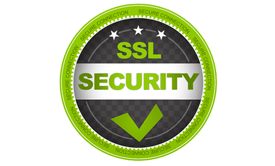 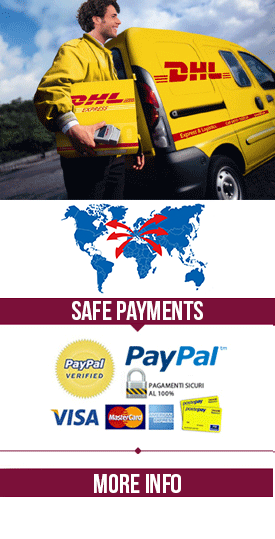 We use top quality materials. 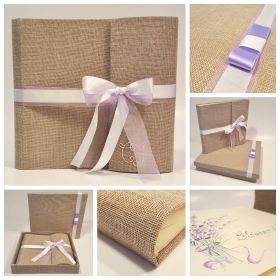 Photo album fcovered with canvas and satin ribbons lilac. 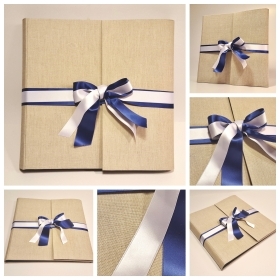 You can customize the photo album with watercolor paintings on the first page. 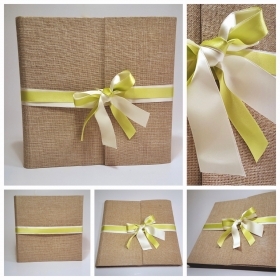 Photo album covered canvas natural linen with closure of forest green satin ribbon. 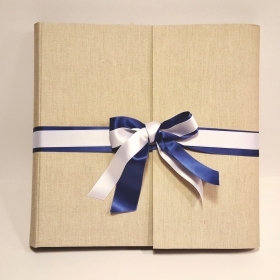 Photo Album natural linen, blue and white satin ribbon. 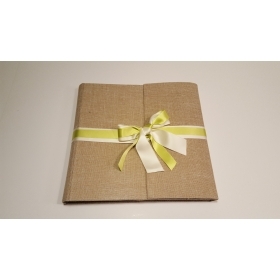 Photo album covered with canvas of natural cheese maker and double satin bow and green organza. 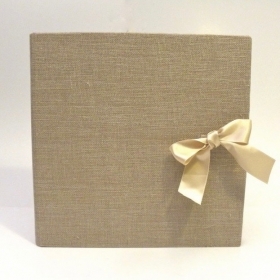 Photo album covered with structured ivory paper. 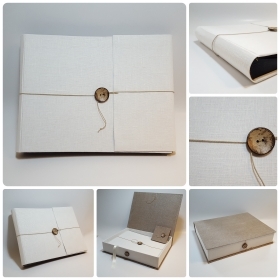 The box is coordinated with the album. 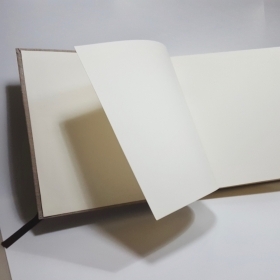 This precious paper makes this album very elegant and bright. 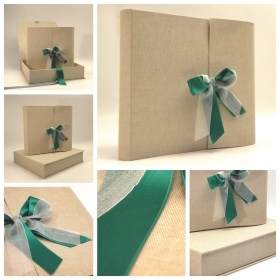 You can choose the satin color and use a color that reminds your wedding.